It’s hard to keep up with Erik’s release schedule these last few weeks. Savage Dragon #229 came out a mere two weeks after the last issue and Savage Dragon #230 is about to hit the stands just three weeks later (this coming Wednesday, right after Christmas). High time we take a minute and take a look back at the current issue. In June 2017 Erik was announced Winner of the 10th annual Inkwell Award in the category “ALL-IN-ONE (pencilling and inking together)”. 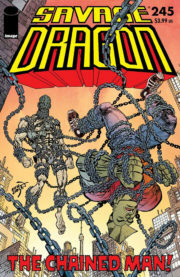 I don’t think we properly mentioned this before but it’s high time Erik Larsen gets a little love from the various awards in the comic business for his continued labour of love. Well done Erik! 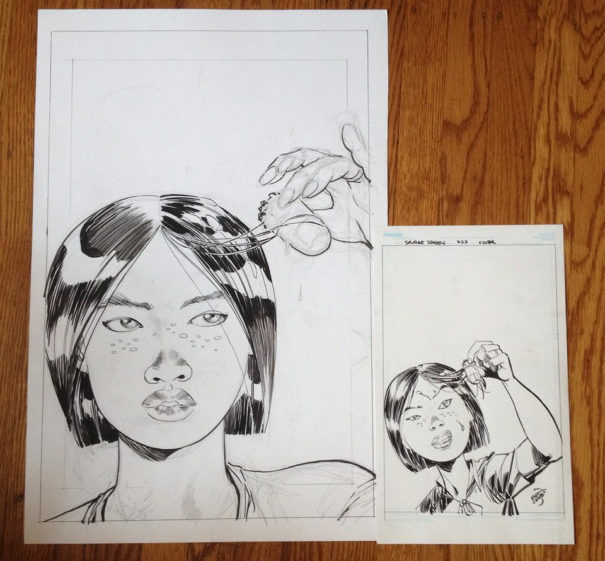 Erik had originally drawn the cover on twice-up paper and based it on an image of his wife. He wasn’t satisfied with the results though and drew another more cartoony version on an artboard from Image Comics. Those artboards are smaller than your standard-sized comic art board and don’t really allow to work in that much detail which actually helped with the cartoony style Erik was aiming for. Eventually, Erik drew the entire book on those small artboards from Image Comics. I think he said that it’s just a lot faster to work on smaller paper and he wanted to get the book out in time. 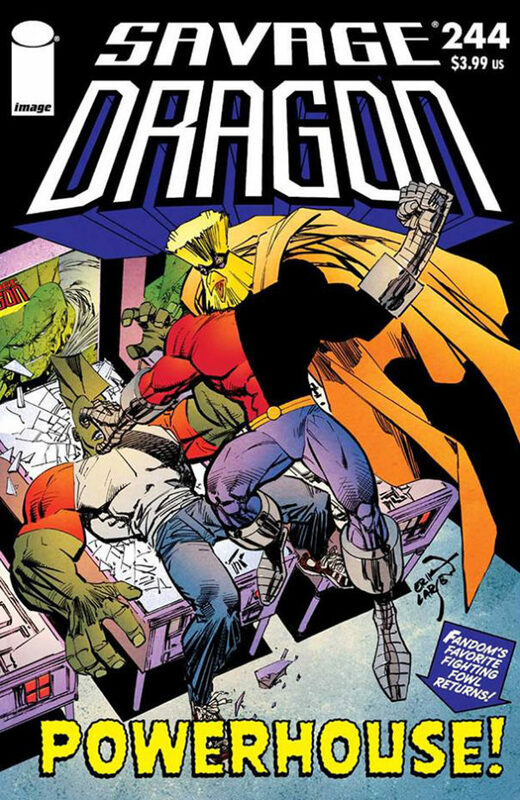 But Erik is also always very interested in different approaches to his work and wanted to find out how this would affect the layout and artwork for Savage Dragon #229. If you keep that in mind while reading the issue you might see some pages where this shows. Some panels definitely have a more cartoony feel to them. 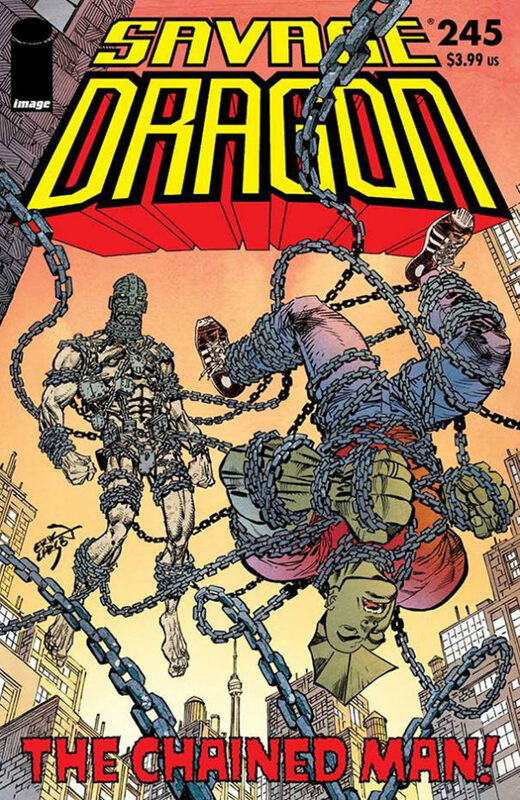 I know I said earlier that Savage Dragon was not supposed to be a tourist’s guide but I’m finding compelled to include actual Toronto locations in this book. It’s getting out of control. A french page reviewing #229 – in french!